Completely Upgraded ground floor unit. Beautiful granite countertops in kitchen, ceramic stove top and new travertine tile throughout. Cal King bed, built in vanity, 2nd flat screen TV, in suite washer/dryer and A/C. Free internet, basic cable, local phone and onsite parking. All basic amenities including beach towels, linens, pots/pans. Near Shopping, Restaurants and all beach activities. Farmer's Market, coffee shop and beach park 3 blks away. Swim and snorkel right in front of property within our protected outer reef. Observe a myriad of sea life including, sea turtles, dolphins and whales in season! Free nightly sunsets from your private lanai! 2 Propane gas grills for BBQing with a sunset view! "Talk story" with our local residents and meet people from all over the world at the best condominium Maui has to offer! Near by and always available for any questions or concerns! A guest from Sacramento, CA United States recommends this vacation rental. We come to Maui once a year and have been staying at Kaleialoha for the past four or five years. It's always a pleasant experience. We love going out on our lanai for breakfast overlooking the ocean and then sunbathing on the lounges. We've met new friends and Lonnie, the manager, is always helpful and friendly. Our various condos had all the amenities one needs for "diy" vacations. We will be back next year with smiles on. A guest from Kelowna, BC Canada recommends this vacation rental. Another great visit to Kaleialoha for us. Stayed in both 114 on ground floor and 214 on second floor. Unit 214 could use a new set of cabinets to make it even better. It just got a new fridge and dishwasher. Aloha Norm! New cabinets installed this week! All ready for your next visit! Larry A S. from Lahaina, HI United States recommends this vacation rental. We were very happy with Unit 114. It is a ground floor unit with a complete ocean view of Molokai. The grounds are well-tended, and the management (Lonelle Newman) is excellent. The air conditioning unit failed before our arrival, and she promptly repaced it. The bed was very comfortable. The kitchen amenities were basic but adequate. The unit included 2 beach chairs, which we used regularly. The other tenants were freindly and quiet. We would definitely stay there again. Mahalo and see you next time! A guest from Lahaina, HI United States recommends this vacation rental. My disabled auntie, sister, and I had a wonderful time at this condo. Auntie slept on the couch since the air conditioner was in this room. Her mobility is limited but she was tickled that she could sit out on the patio and watch the ocean to her hearts content. Kitchen had everything we needed for cooking. Outside covered patio was just the right place to eat and relax. Bathroom has a large shower. Everything was clean and comfortable. The pool is small but was so inviting - even my aunt could go into it easily. The air conditioner is small and did not really cool down the bedroom at all - a unit in the bedroom might be considered. Also the ocean was a bit rough and there is no easy entrance. These were only minor issues for us - we were very pleased and would go back in a heartbeat. Mahalo and hope to see you again soon! Taylor I. from Lahaina, HI United States recommends this vacation rental. From the minute we walked into the condo to the minute we left it was an amazing stay. The condo itself was open and cozy and very inviting. Being on the ground level allowed us to really enjoy the feel of the location. I would highly suggest a ground unit over any other unit if available..
Mahalo Taylor! Hope to see you again soon! Todd & Robin S. from Lahaina, HI United States recommends this vacation rental. We loved this condo, the location, the view, and the accommodations. We sure feel blessed to have found this place. We heard from a friend how great this place was. The bed is super comfortable, it's a great place for 2 people. Kitchen well stocked with the necessities, loved having a washer and dryer available. Definitely will be going back! Mahalo for your comments and we will see you next time! Ravi S. from Burnaby , British Columbia Canada recommends this vacation rental. Beautiful quiet place to get some downtime. Some of the best sunsets I have experienced . The place is very convenient to local farmer market and stores. Great location and nice condo. Had all the amenities needed with a family. Lori M. from SAN DIEGO, CA United States recommends this vacation rental. We were on our second visit to Kaleialoha. Unit 114 is perfect. It is quiet, private, and very comfortable. Arthur A. from Blaine, WA United States recommends this vacation rental. The condo is very nice and comfortable and in good condition. It is equipped with everything you might need. The Honokowai location is very convenient; close to everything yet away from the crowds. Kaleialoha is our favorite place to stay in Maui!!! A guest from Burlington, Wa United States recommends this vacation rental. This was our first time staying in unit #114. It was by far the best. Walking out of our unit on to the well manicured grounds was a pleasure. We had a great time meeting and visiting with our neighbors. Watched the whales and saw the turtles who visited every day. Farmers market was a short walk away as well as a store, many shops and restaurants. We have already booked the unit for November and would definitely recommend this unit and this resort to friends and family. A guest from South Lake Tahoe, CA United States recommends this vacation rental. This was our second stay at Kaleialoha and plan on returning again. I thought being on the ground floor would damper our privacy but I loved it!! Being able to walk out (23 steps) and see the turtles and ocean, truly magnificent!! The unit was clean and comfortable and offered all the comforts of home. We have stayed at Kaleialoha a number of times now and always enjoy the location, the amenities, the sunsets, etc. We especially enjoyed the unit we were in this time - very nice! The only sad part was the big filled in sink hole in the front - denied access to the sea wall. Aloha! Sink hole has been repaired so book your next trip now! William C. from Lahaina, HI United States recommends this vacation rental. Place was exactly what I was looking for. Quiet living space away from the resort bustle. Condo fully stocked with everything needed to live comfortably, and entertain guests. Beautiful sunset view, and easy ocean access. Couldn't ask for a better stay. A guest from Sacramento, California United States recommends this vacation rental. 10 wonderful days in Lahaina! Clean, well kept and convenient. Sink hole on the property and subsequent construction put a bit of a damper on things. Shawna M. from praverse, MI United States recommends this vacation rental. We loved our stayed at Kaleialoha #114. It was clean and laid out well. We couldn't believe how close to the ocean we were. Keep in mind the ocean front is rocky with no beach, so it is not a good place for swimming. Woke up early every morning, had coffee and watched whales from our patio. The condo itself is in a great location. Can walk to the farmers market and restaurants. Kaleialoha is an older development but the grounds are kept up real nice. We really loved our stay here and if we return to Maui we plan on staying at the same place. There are fancier places to stay but the location of this condo association cannot be beat. If you are looking for a smaller, less crowded, relaxing, great location this place is for you. If you are looking for fancy this is not for you. We were celebrating an extended family vacation while in Maui so we were able to see and use other resorts/condos and I left super happy with our choice. I would not have traded Kaleialoha #114 for any of the other resorts/condos I got to visit. Mike E. from Lahaina, HI United States recommends this vacation rental. Really can't say enough about our stay here. Clean, well maintained property with a great staff. Very private location with zero crowds and the ocean is 30 feet from the lanai. Watched whales and sea turtles cruise by on several occasion. We will be back!! Jan K. from Lahaina, HI United States recommends this vacation rental. You are Welcome! See you next time and be sure and ask for our repeat guest discount! Kayli C. from Elk Grove, CA United States recommends this vacation rental. We have stayed here a few years ago and were amazed by the condo and the premises, also the location. You are close to everything. Seriously ocean from for a fraction of the cost of a resort. The first time, we stayed on the 4th floor and the view while cooking breakfast is insane. As well as just sitting in your living space or on the private Lanai. We will always stay here when we come to Maui. We just stayed here again. This time we had our 9 month old son so we wanted to stay on the first floor so we could just walk straight out to the ocean. It was the right decision. There was a fence that we didn't know would be there that was in the view.. not a big deal and it was due to some construction, but Lonnie (the manager) was very accommodating to us. The condo has everything you need to cook, or to go to beach, like coolers, lawn chairs, towels, umbrellas etc. We also had AC and in unit laundry.. can't beat that. Lonnie also provided us a pack and play and a high chair for our 9 month old, so we didn't have to worry about packing those items. Strongly recommend. Mahalo Kayli! See you next time! Larry C. from Baltimore, ON Canada recommends this vacation rental. Karen L. from Richland, Michigan United States recommends this vacation rental. Great except for a dirty sheet for the hide-a-bed. Brian W. from Browns Valley, Ca United States recommends this vacation rental. Jennifer S. from Longview, WA United States recommends this vacation rental. Nice clean, friendly property with excellent views. Right on the ocean with lots of sea life and snorkeling! Very nice updated rooms! Bob S. from Del Mar, CA United States recommends this vacation rental. We rented 3 condos at Kaleialoha. Our Son, Daughter-in-law and grandson stayed in #114. They said they wouldn't stay anywhere else. The first floor condo was wonderful for our grandson to just run in and out of. They had everything they needed to make it comfortable. And they loved the view. A guest from Vancouver, BC Canada recommends this vacation rental. Excellent front office management and we would highly recommend the condo for an overall wonderful experience!! Excellent office staff with Loni and Kathy and outside cleaning/gardening person. Jeff W. from Granite Bay, CA United States recommends this vacation rental. A guest from San Dimas, CA United States recommends this vacation rental. Unit was very nice and given we have stayed in same unit on other visits, unit upgrades since last stay was nice to see...will be back for future visits and made a reservation for next year, although not same unit due to already being booked. Richard H. from Nanaimo, B.C. Canada recommends this vacation rental. We enjoy watching whales and turtles from the waterfront. Lois D. from Santa Rosa, CA United States recommends this vacation rental. Without doubt, this is the best place to stay on Maui. It's a private, small complex. All ocean front and so close to the water, and every unit has a perfect sunset everyday from their private lanai. Many large sea turtles swim close to the water's edge. We've stayed in unit 114 and 210 and both were perfectly maintained, clean, and well equipped. I just can't imagine a more perfect place to stay. AND, the Cathy, in the office is friendly and very helpful. 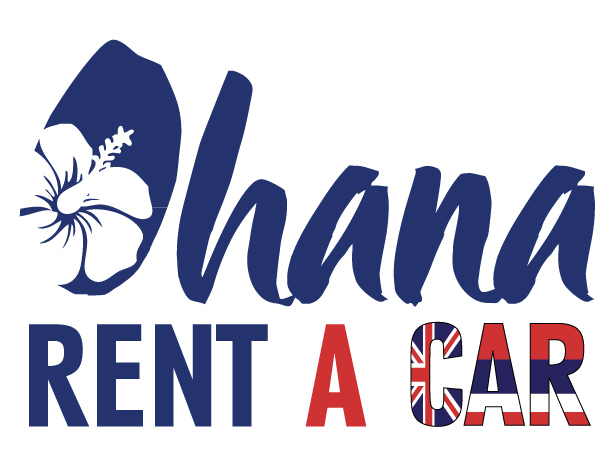 our experience at Kaleialoha rentals. Ralph S. from Claremont, California United States recommends this vacation rental. Outstanding--we"ll be back next year. Albert C. from Edmonton, Alberta Canada recommends this vacation rental. It is a well stocked condo to relax and watch whales and sea turtles everyday. It is also centrally located so that you can go anywhere you want.I highly recommend this place. Lisa J. from Honolulu, HI United States recommends this vacation rental. We had a fabulous time and will definitely go back. Nancy & Steve R. from Minnnetonka, MN United States recommends this vacation rental. We were very happy with KALEIALOHA. The location was perfect for us. We could walk to stores and restaurants. The best part was right outside of our screen door and patio! We had lounge chairs facing the ocean where each day we would see whales swim by, and big sea turtles right on our shore line. We could swim and snorkel right there too! The condo was nicely decorated and comfortable. We had all the kitchen supplies we needed. Wish we were still there! A guest from United States recommends this vacation rental. Nice and comfortable! Enjoy it in Kaleialoha rentals. Bernice H. from Delta, BC Canada recommends this vacation rental. Had a short stay...two days, but enjoyed every moment. Were impressed by the facilities and location! Dave B. from Flower mound , Tx United States recommends this vacation rental. I have stayed at Kaleialoha Condominiums three time. Thus year I stayed in Unit #114 and was as usual, pleased. The units are always as advertised and Lovely Lonnie, the rental manager, is always pleasant and accommodating. Our unit was missing a large skillet, and she procured one for us immediately. I have already booked again for next year, and can't wait to return once again to watch the sea turtles play, and the whales breech while sitting on my private patio, or sunning next to the water. Allison F. from United States recommends this vacation rental. The condo is beautifully appointed and updated inside, with island-themed touches and extremely well stocked. The views were breathtaking and I have never stayed closer to the ocean on our previous trips to Maui. The local food scene nearby is great with everything from Food Trucks and Maui Brewing Company to the Ritz Carlton just up the road at Kapalua. You can snorkel and swim with turtles directly in front of the unit. The sunset cruise was amazing and we especially enjoyed hiking along the rugged West Maui coast and buying banana bread and local art. You'll find your own paradise here! Kevin M. from Long Beach, Ca United States recommends this vacation rental. The unit was great. Good size bedroom and bed. Great view. Nice pool. Friendly people. The kitchen and bath were updated and very nice. This property was real clean. A guest from Rose Creek, MN United States recommends this vacation rental. Other than the office staff being rude to friends the condos are GREAT and would highly recommend them!!! Terry A. from soldotna, alaska United States recommends this vacation rental. We had a wonderful stay in our condo and we were lucky enough to watch the turtles numerous times a day everyday. What a treat. Very well taken care of property with a beautiful view. Will stay here again anytime we can. A guest from Lynnwood, WA United States recommends this vacation rental. Stayed 9 days at Kaleialoha and had the best time. Great location, love the view, and the condo was spotless with really nice upgrades. Lonnie is very nice and will come back again next year! Soumya G. from Goleta, CA United States recommends this vacation rental. Beautiful views, luxurious condo. Will stay again. A guest from Hamiota, MB Canada recommends this vacation rental. First and formost; we were blown away by the view from the condo. Gorgeous sunsets and lots of whales and turtles to watch. Unit #114 is ground floor and very nice just to walk out the patio and onto the grass and ocean. Beautiful decor inside with all the supplies you need to cook and entertain. So happy we went the Condo and not resort route. You get a quieter area and get to meet your neighbors at each sunset. Grocery store is within walking distance to make meals each day, plus lots of restaurants and takeouts. Make sure you check out the Fish Market for takeout. One of the best on the island. The biggest plus is we saved quite a lot over resorts. We can't wait for our next visit. Loni was always the best manager as was the assistant Kathie and Joe very helful in many ways. The property is the finest in the area. Chris R. from Paradise, CA United States recommends this vacation rental. A great location with limited direct access to a very small beach next door. However this condo is located close to Kapalua bay and Napili Bay to the north, and almost any beach in Kaanapali to the South. Very quiet condos. Very friendly neighbors within the complex willing to share good locations for local food and beverages. If you are looking foe a condo with a pool. This pool is clean but very small. The pool is not the drawing card at this location. Whale watching in season is terrific. 114 was very well stocked with anything you need for a family vacation. Beach chairs to fins. It is all there. Highly reconnended and I would return. Kathleen G. from SALMON, ID United States recommends this vacation rental. A guest from Thousand Oaks, CA United States recommends this vacation rental. Kaleialoha is the best. This is my seond time staying in #114. I love it. The staff is more than frienly and helpfull. Any time I come to Maui, I will be staying with Kaleialoha & in #114. I've seen a few of the other units & like #114 the best. Great Job!!!! Ann H. from Berkeley, CA United States recommends this vacation rental. We love staying at Kaleialoha. Condo is comfortable and has everything we need. And the location is the best part of all---right on the water, with great views and beach access. A guest from Hong Kong United States recommends this vacation rental. My friends and I stayed in #114 for 4 nights. We were very happy with our stays and will definitely recoommend it to others. #114 is fabulous and probably the best among all. Amenities are new and the view out side of the lanai is breathtaking. The management of the condo is very attentive and they have all you need in the room, such as snorkeling gears, seasoning for cooking, floating boards, etc. Location is great, quiet while also very convenient. The ocean outside of the condo is a good spot for snorkeling too. I saw a turtle down there!! A guest from Paso Robles, CA United States recommends this vacation rental. A guest from San Diego, CA United States recommends this vacation rental. Great location, great sunset views, very convenient for frequent snorkling, watch turtle right outside your unit, near to a lot of decent food choices, great location to relax and much much more. A guest from Edmonton, Albera Canada recommends this vacation rental. WE HAD A WONDERFUL VACATION!WE WERE VERY PLEASED TO ARRIVE TO FIND OUR ACCOMADATIONS SO CLEAN AND WELCOMING. THE CONDO HAD EVERYTHING WE NEEDED TO MAKE OUR STAY COMFORTABLE. WE WERE ABLE TO SETTLE IN AND GO RIGHT INTO RELAXATION MODE. WHICH IS WHAT IT IS ALL ABOUT.WE WOULD BOOK HERE AGAIN! Karl R. from Sparta, Mi United States recommends this vacation rental. This is our second stay at Keleialoha and we loved it. The condo has become our home in Hawaii. Thomas & Kristy B. from Playa Vista, CA United States recommends this vacation rental. Don't waste time in a big resort! Barbara L. from Pleasant Hill, CA United States recommends this vacation rental. It was fun to be back in the same lovely unit we stayed in last year - a real keeper! Linda A. from Rendondo Beach, CA United States recommends this vacation rental. Need a Vehicle for your stay?